Global climate change is projected to have wide ranging effects on environment, socio-economic and related sectors. 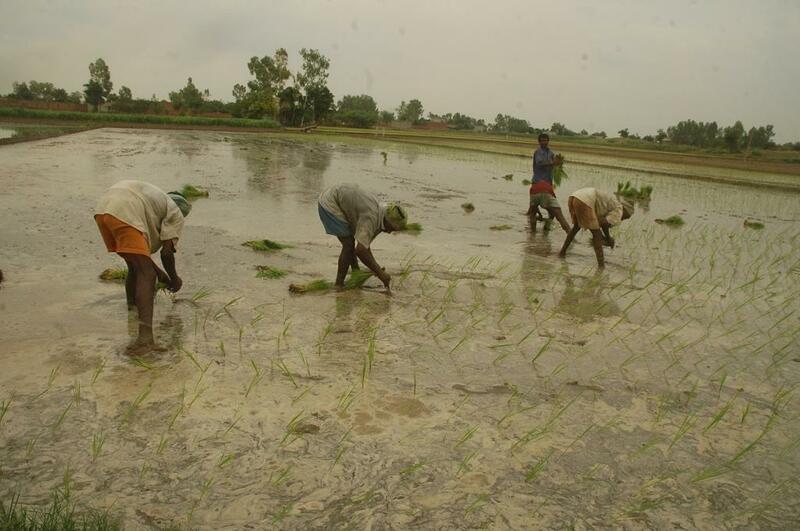 Indian agriculture scientists have found that rising temperature will adversely hit rice productivity in the country. Experiments done in Tamil Nadu show that elevated temperature will have a negative impact on rice productivity, even nullifying the positive effects of higher level of carbon dioxide. Researchers at the Coimbatore-based Tamil Nadu Agricultural University (TNAU) conducted a study on rice which is a staple food for most people in the region. According to Manila-based International Rice Research Institute, rice provides 23 per cent of global human per capita energy and 16 per cent of global human per capita protein. The study involved actual cultivation of the cereal in a climate control chamber (CCC) where the temperature was maintained at four degrees above the ambient temperature and a carbon dioxide enrichment level of 650 parts per million (PPM). The experiment was carried out with four different days of planting – June 1, June 15, July 1 and July 15. It was seen that crops grown under the projected conditions attained panicle initiation, flowering and maturity much earlier than those grown under the ambient condition. But, recorded reduced growth characters such as leaf area index, dry matter production and number of tillers. In addition, lesser percentage of dry matter was partitioned towards grain and more for the roots. Subsequently, they recorded lower grain and straw yields. Overall, elevated temperature was found to have a negative impact on rice productivity, even nullifying the positive effects of higher level of carbon dioxide. The researchers have published a report on their work in the latest issue of journal Current Science. I had done the same study on Odisha region. I found the same result. The increase in Temperature, Rainfall Variation, Break days(The days having rainfall less than 7.7mm) have a very strong correlation with the production of rice.